Capcom has announced that it will be hosting a “1-Shot" demo for the Resident Evil 2 remake for PlayStation 4, Xbox One, and PC via Steam on January 11. Check out the details on what's in store from this unique slice from the full game below. "Sorry ‘bout all that, thought you were one of them. You can never be too sure with what’s left of the once bustling Raccoon City. With the living dead shuffling about and even the supposedly safe Raccoon City Police Department, or R.P.D., being overrun by terrifying monsters, nowhere feels safe anymore. 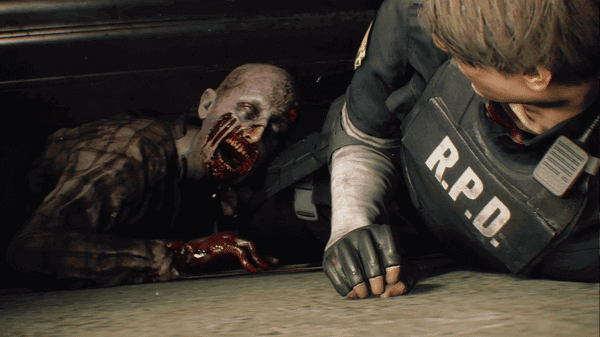 As rookie police officer Leon S. Kennedy, you’ll be setting foot into a reimagined R.P.D. station not only to seek shelter and figure out why none of your co-workers are calling you back, but also to find a way out of the nightmare that’s unfolding in front of you. Leon’s welcoming party may have been cancelled, but your escape from the police station has just begun. Similar to the demo that we’ve had at various events since the game was first unveiled at E3 in 2018, you’ll be able to explore the R.P.D. as you like… but you’ll be on a time limit. Once those thirty minutes are up, so is your demo! Fortunately, you can continue if you die, or if you complete the mission objective. However, just like in real life, you can’t turn back the clock and you won’t be getting back the time you lost, so use what time you have wisely. Play quickly and carefully if you want to see the end of the demo, and be sure to pick up any useful items you see laying around while conserving your ammo. It may be tempting to try and defeat every zombie that stands, or crawls, in your way, but sometimes it’s better to use a few bullets to make an escape route than empty a clip on a monster that refuses to stay dead. No matter how your demo ends, you’ll get to see a brand-new trailer exclusive to the demo when it’s done, giving you another taste of what to expect from Resident Evil 2 in just a few weeks." Regardless of how you play, prepare for the demo on January 11 for PlayStation 4, Xbox One and PC via Steam. Resident Evil 2 launches on January 25th, 2019 for PlayStation 4, Xbox one, and PC via steam.